Cavities are a very common health problem. 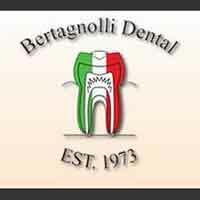 If you need a tooth filled in Westminster, contact the dental office of Bertagnolli Dental. When you have a dental issue, you need a dentist who has the experience to effectively diagnose and treat you. We are that dental practice. Children and teenagers aren’t the only ones who get cavities. As you age, gums tend to recede increasing the surface area of your teeth as well as the amount of space in-between them. This results in a risk for tooth decay such as cavities. If you think you have a cavity and need a tooth filled or your old fillings need replacing, we provide what you need. We want our patients to make informed decisions on their dental issues and understand how important good oral hygiene is. Give us a call today if you need a tooth filled in Westminster. Providing the care you need to keep your smile healthy.